Marco Island and South Florida Weather can change very quickly. The Southwest Florida Gulf Coast weather is a major attraction. Winter months are mild. The warmest temperatures in the nation is often south Florida during December, January, February, and March. Local temperatures are often above 80 degrees, even during winter. View the latest National Weather Service Forecast weather alerts, FL weather maps, forecasts, wind conditions and current temperatures. 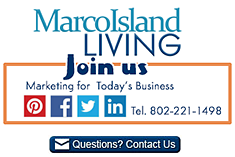 Share your Marco Island – Naples FL weather comments or ask us about visiting Marco Island Florida. To feature your business, contact us. Severe Thunderstorm Warning issued April 19 at 2:08PM EDT until April 19 at 2:30PM EDT by NWS - ...A SEVERE THUNDERSTORM WARNING REMAINS IN EFFECT UNTIL 230 PM EDT FOR FLAGLER AND SOUTHEASTERN ST. JOHNS COUNTIES... At 208 PM EDT, severe thunderstorms were located along a line extending from 27 miles east of Sawgrass to 6 miles northeast of Pittman, moving east at 40 mph. HAZARD...60 mph wind gusts.